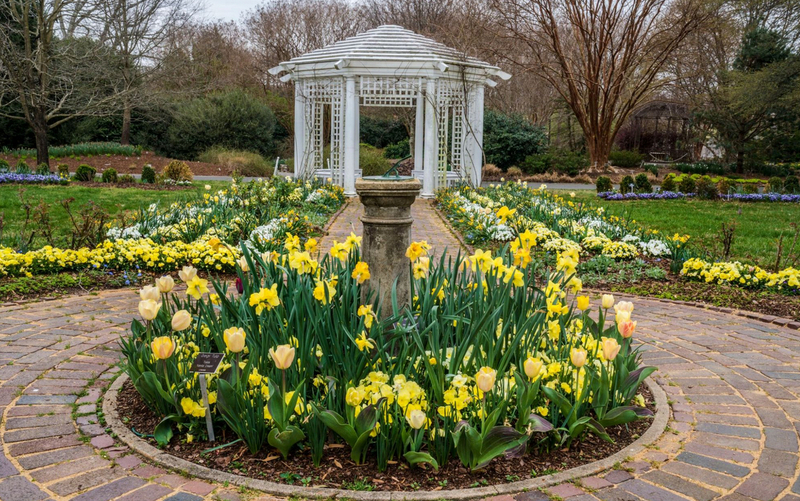 Lewis Ginter Botanical Gardens Wedding Venue offers three beautiful outdoor ceremony sites paired with a reception venue during our outdoor event season of April-October. 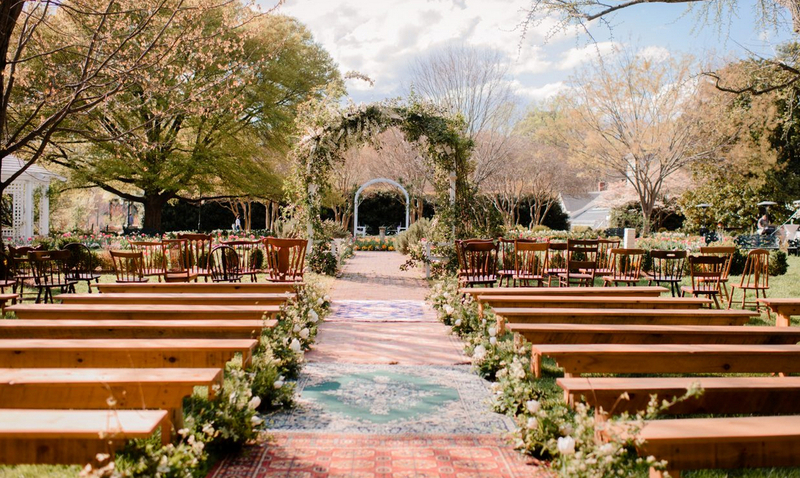 These options can be used for ceremony and reception or reception only. In Bloemendaal House, This historic landmark, with views of Lakeside Lake, is an ideal location for an outdoor wedding reception. 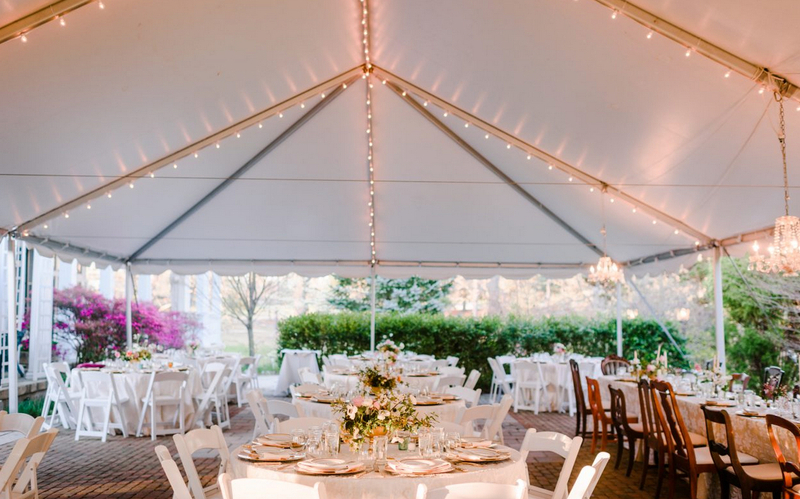 The rental includes two 30-by-60-foot party tents, covered verandas and extensive brick patios. Your guests also have access to the beautifully embellished first-floor of the house which features period antiques and furnishings reminiscent of the Arts and Crafts era.